Below is a FREE QR code generator. It's absolutely FREE. Go ahead and use it! QR Code stands for Quick Response Code. 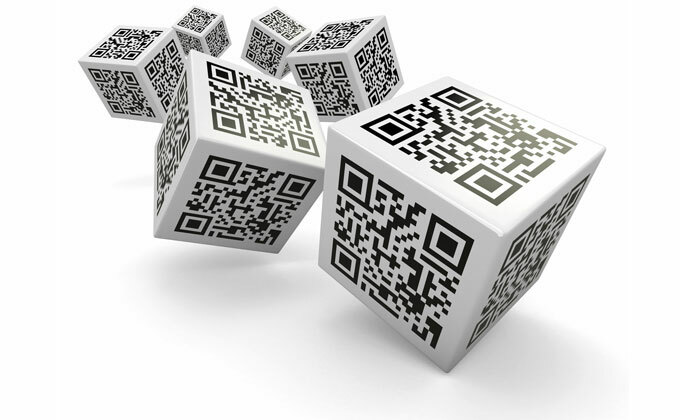 QR codes can be used to help your customer take action faster than they could if you gave them instructions. You can add a QR code to your menu, your print advertisement or even your shop window. When someone scans that QR code with their smartphone, the user doesn't have to type in any information. A QR code can do many things. For example it can automatically open up a web browser on a smartphone and take you straight to a designated page on your web site. If you're a restaurant, that might be your opening hours, or your menu, or a booking page. Or it can direct you straight to a google map which gives you directions from where you're standing right now to where the event or business is. Or it can prepare a text message, add a contact record to your phone, show you a YouTube Video or take you to a Facebook Page. The uses for a QR code are plenty. TYPE – Select the QR code you want by clicking on the icons below. SIZE – Select the SIZE of QR code you want. COLOUR – Click on the colour wheel if you want to select a colour. TEST it by scanning the code with your smartphone. DOWNLOAD when you're happy with the QR Code. If you got some value from using this QR code generator, we'd really appreciate it if you could click “like” or share this by clicking on any of the social media share icons below. Thanks heaps! You can now also sign up (for free) and track each QR you create. Come back anytime to see how many people have scanned your code. This is a great marketing tool. All yours for FREE!